2015. 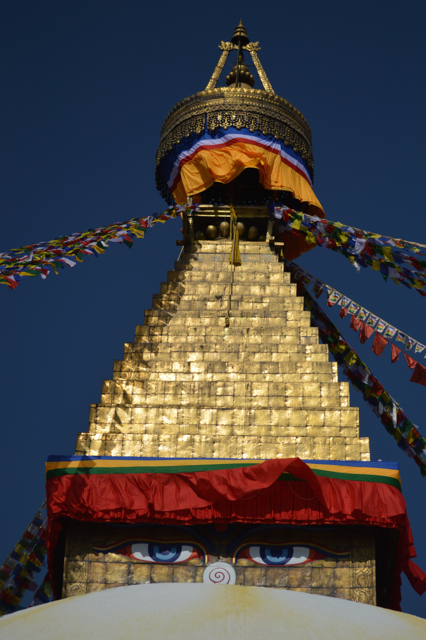 Boudhanath is one of those special places … a place of calm and beauty in the midst of the noise and chaos of Kathmandu. It is a Buddhist stupa, a holy place – especially so for the Tibetan people. Delightful smells of incense and spicy food permeate the air. Most people walk around the bottom of the stupa – stopping into the various shops, eateries and to turn the prayer wheels. A few stairs and a small walk around a huge prayer wheels takes us up to the white stupa – to do the walk again from above. Every time we have been there, the sky is the most incredible blue, which makes the whiteness of the stupa and multitude of prayer flags even more dramatic. 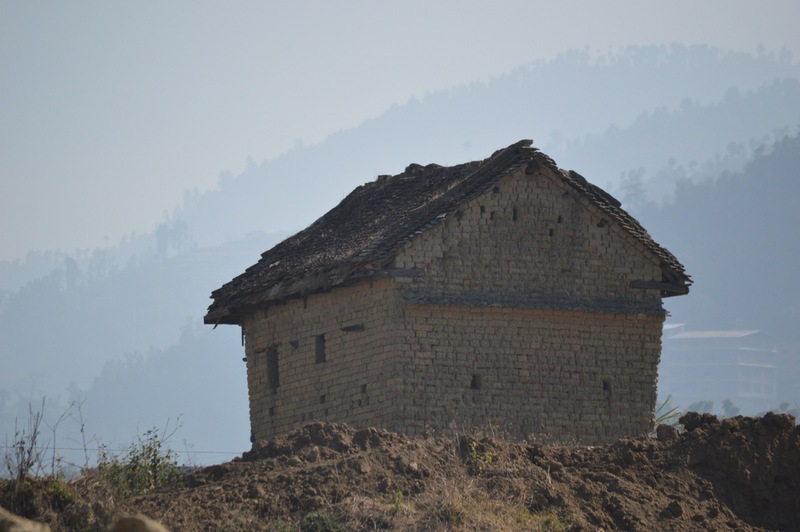 2015 (before earthquake) : buildings sitting in the terraces built into the land around Bhaktapur Nepal. Terracing helps farmers overcome the steep terrain and also control water supplies to the crops. There are many pathways that criss-cross the farms; we love wandering around them, watching the farm life, smelling the earthy scents of the cows and buffalo, hearing the screeches of the chickens and constant barking of dogs. Well not so much the barking. 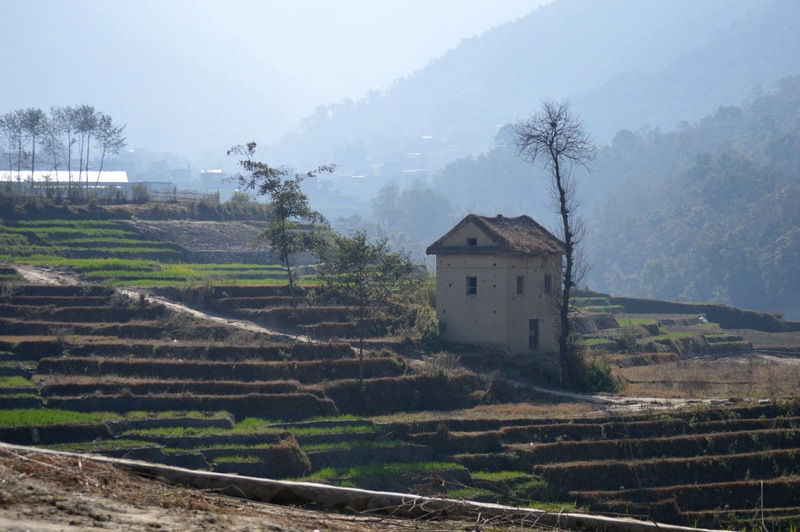 We watch in awe at the physical strength of the Nepalis as they undertake farm life with few implements or machines. In winter, the colours are soft and misty, although the days are bright.